FANTASTIC 20-mile row in the Octuple (yes, eight scullers.) 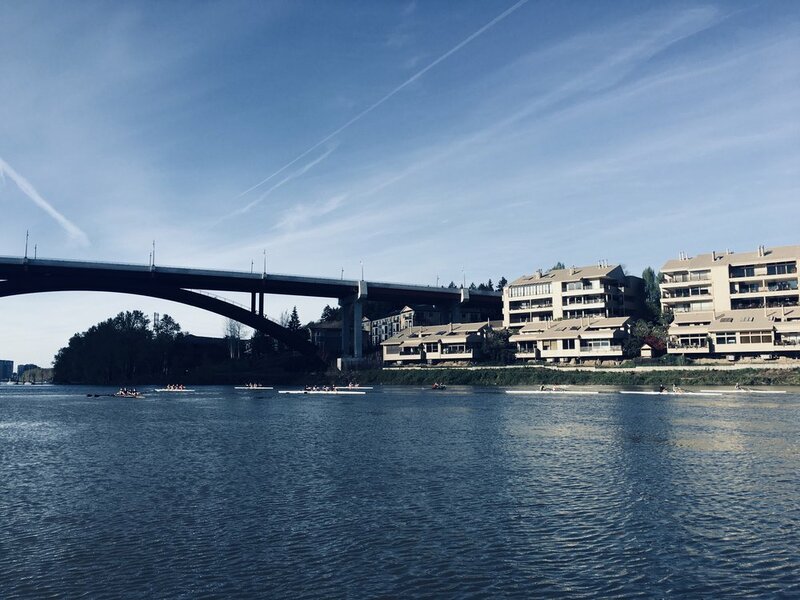 From Oaks Park to Willamette Falls and back. Unbelievably perfect weather, no wind, and surprisingly few motorboats. We practically had the whole river to ourselves. Great job, my ORU rowers! (Ginny, Karen, Nancy, Mike, Kraig, Bryan, Emily and Judi)...and special thanks to Franko for accompanying us in the launch.